Livestream of Bonnaroo? Check. Tickets to a festival? Your chance to win big | Do You Hear The Music? Okay music fans, we are inching closer and closer to the best four days of the year, BONNAROO!! But if you can’t attend, I highly encourage you to watch the festival from the Dell Livestream at www.youtube.com/bonnaroo. Hope you are able to catch at least a handful of shows I’m excited about from the Countdown to Bonnaroo over the last 30+ days and find yourself some new bands to be grooving to. Just because you can’t be on the farm doesn’t mean you can’t experience some of the joy and excitement that will be occurring and in true Bonnaroo fashion, surprises are always bound to happen so the more you tune in, the more you can see live! The stream runs June 8-10 so check back with me after the festival to see what you missed on night one, June 7 when I’ll for sure be catching The Dirty Guv’nahs and Alabama Shakes among a handful of other talented musicians. Want to attend a festival like Bonnaroo? Thanks to the Dell Festival Tour, they are making your dreams come true, giving away trips for you to attend Lollapalooza and Austin City Limits. Pretty cool, huh? All you have to do is click here and ‘like’ them on Facebook for your chance to win a Dell XPS 13 Ultrabook, more Dell prizes, festival tickets or exclusive VIP upgrades. Also, Dell are now running a PhotoFest competition on Twitter so post your best pics from Bonnaroo (and other festivals) with the hashtag #DellLive to win prizes! 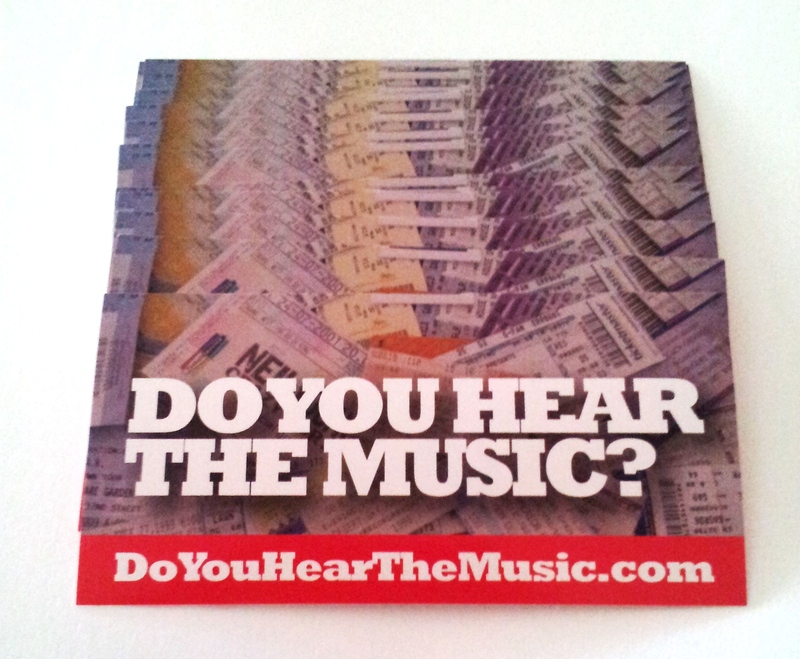 Hope to see you at the next festival and if you are making your way to Bonnaroo, come find me and grab a DoYouHearTheMusic.com sticker. Limited edition, once they are gone, it’s time for sticker number two.